Bastrop Ranches For Sale - Bastrop ranches for sale including 14,000+ Real Estate Listings. 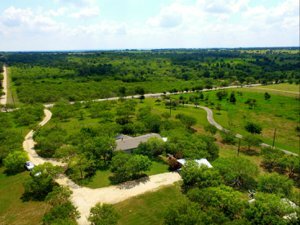 Search Bastrop ranches for sale in MLS. Photos, Videos & Listings. Bastrop is a great place to have a ranch and raise a family because it is a small but growing community. You can have a nice ranch in the country for your horse riding pleasure and/or for raising cattle, yet you can be close to shopping, schools, hospitals, and commuting to Austin, San Antonio, or Houston. From the center of Bastrop to downtown Austin, it is approximately 43 miles. Bastrop is the county seat of Bastrop County and is located along the beautiful Colorado River. One of the veterinary clinics in Bastrop is Bastrop Veterinary Hospital where they treat large and small animals, are family oriented, and will do whatever they can to help! The nearest hospital is Seton Smithville Regional Hospital, and it is about 14 miles from Bastrop. Also, there is a St. David's Emergency Center in Bastrop and St. David's South Austin Medical Center 33 miles from Bastrop. There are several nice restaurants, including Chili's Grill & Bar, Southside Market & BBQ, Los Cabos Mexican Grill & Steak House, La Hacienda, Jalisco’s, and many more. There is the Bastrop Rodeo Arena for horse riding competitions and rodeos. They host the traditional Homecoming carnival, rodeo, and dance once a year for an incredible day of family fun. For your shopping needs there is a Walmart and a H-E-B plus grocery store. There is also The Home Depot, Lowe's, Tractor Supply Company, Academy Sports + Outdoors, Hobby Lobby, Bealls, etc. just to name a few. Bastrop Independent School District is the public school district for this area with a great art, band, choir, and sports program. Austin Community College offers night classes at the Bastrop High School. For recreation, there are parks with biking trails and beautiful Lake Bastrop for your inner fisherman or just for a nice day out on the water. Schulman Theatres Lost Pines 8 is located right off downtown on Chestnut St. where they have not only the latest movies but also offer bowling, mini golf, and an arcade. Bastrop is the perfect combination of old and new with a historic downtown and a growing business community. Its small town feel is part of its charm. There is a farmer’s market every Saturday. We have annual events including Yeterfest in April to celebrate the town’s history, Juneteenth Celebration in June, Fourth of July celebration, Pet & Pal Parade fun to participate in or just come out and watch in July, Homecoming in August, Halloween Fest located downtown with tons of Halloween activities, Veteran’s Day Car Show, and Lost Pines Christmas. Thank you for visiting. Be sure to save your Bastrop TX ranch search, it's free.